Have you ever noticed the conspcious blue building sitting on Gorden Ave in Hamiltion? It's called Pachamama House and there happens to be numerous things inside, including, most recently, the studio of Hell Wench. 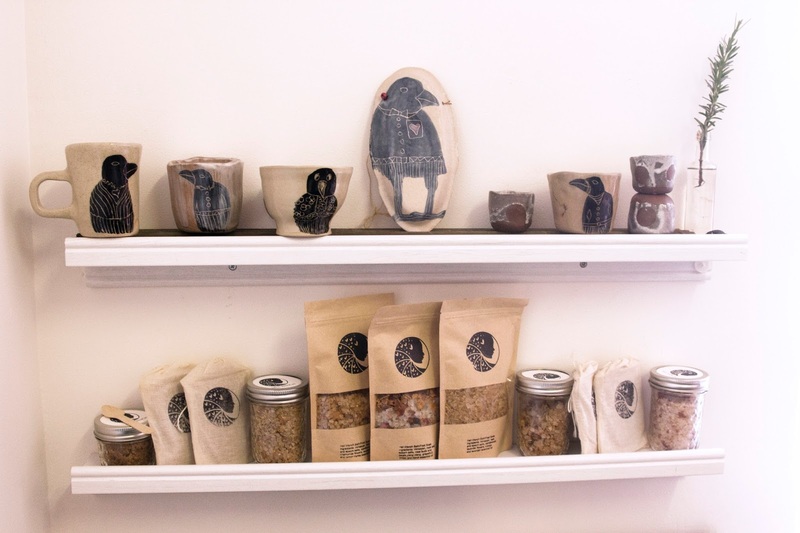 A ceramics and natural products brand owned by the lovely Martha Casey-Knight, you can find her vegan-friendly and unique products both online and at all the local markets around Newcastle. I was lucky enough to spend some time chatting to Martha about her wonderous creations and inspirations. 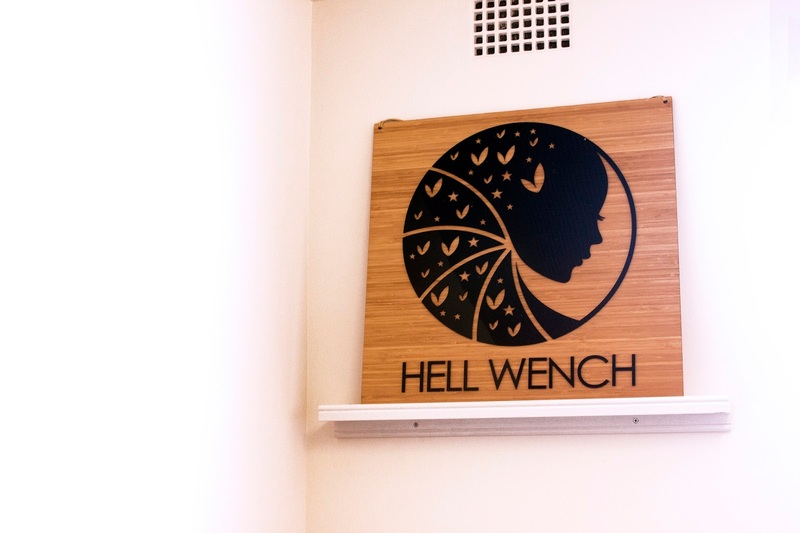 For those who might not know, tell us what your brand Hell Wench is all about? 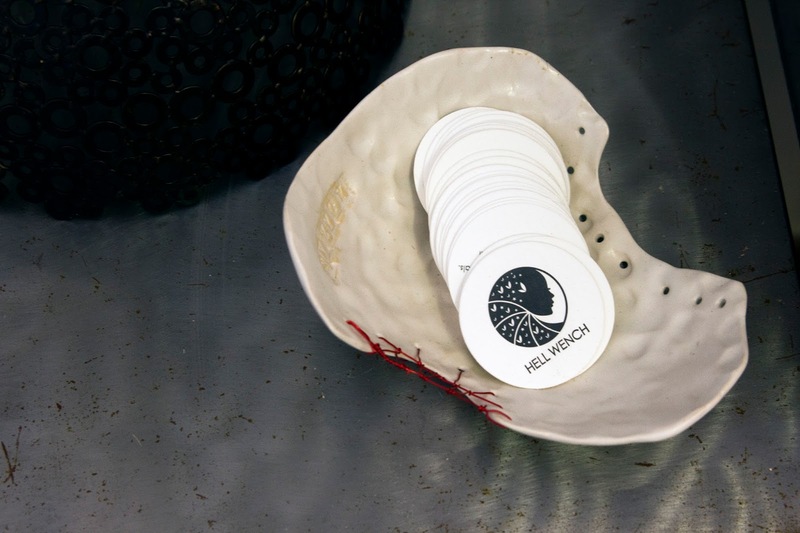 Hell Wench, "A Little Wild" is my little business that started and lives in Newcastle on the coast of NSW, Australia. My tag is "Tested on my husband not animals." All my products are vegan friendly and have a focus on 100% natural ingredients, and are hand-made in small batches by me using traditional artisanal methods. The cold pressed soaps are made from either a pure olive oil or my three-oil mix (olive oil, rice-bran and coconut oil) base, the candles are composed of 100% natural sustainable soy wax which I have fragranced with pure essential oils concocted and blended by me to soothe, not overpower, the senses. A lot of my products you could actually end up cooking with, except the soap (laughs). I have a teenage daughter, I didn’t want her putting different sorts of chemicals and stuff through her body. You know makeup is one thing, but what we wash our body with is another. With the ceramic side of it, it’s very wabi-sabi. Each piece is uniquely different, no two are identical, they might be similar but they’re not identical. I hand carve each piece. It’s a creative journey on a number of different levels. Tell us a little bit about your background. 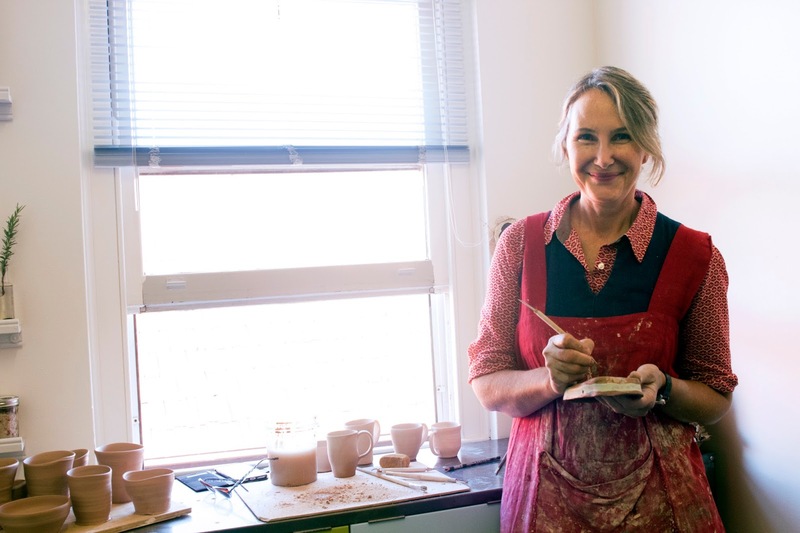 How did you come to get into ceramics and come up with the idea to create your brand? I was 17 and living in Melbourne, I’d just finished high school and there was this exhibit. It was a yearly exhibit in the gardens in Melbourne, and the first piece of artwork I ever brought was a ceramic piece, it was a sculpture piece. 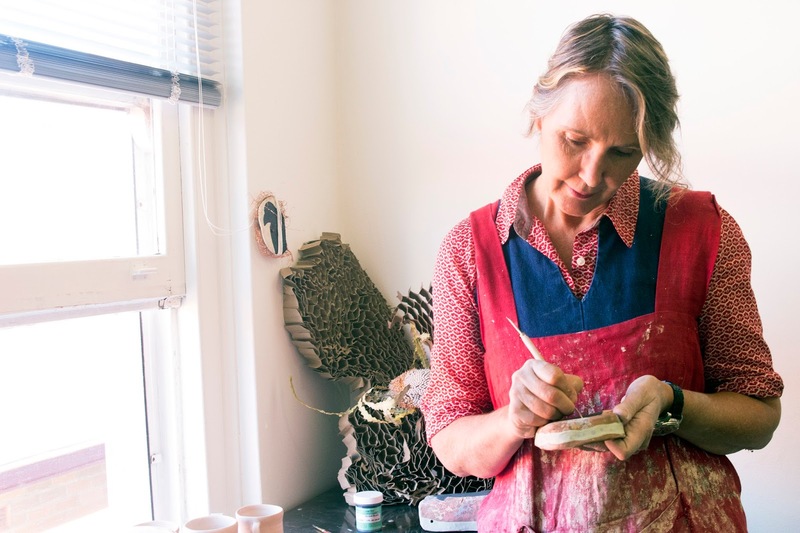 I’ve always liked clay; whether it’s gardening and mud, or whether it’s making shapes and sculpting, I’ve always had a connection with it, but I never really followed it up until my adult life. What made you decide to eventually start following this passion? I come from a varied background but trained as a drama/media teacher. I then had a variety of careers and while in Canada I worked as a project coordinator untill returning to Newcastle four years ago when the oppourtunity rose and l decided it might be time to indulge my creative spirit. When we moved over here my daughter went into a school that she really liked and my husband had started a new job, and I was kind of floating in the wind, which was great at the time. Then I started doing a couple of workshops with Kara Wood, and then it was just that the opportunity was there. I was doing gift boxes for people and people were wanting to have my salts and the soaps, so it all accumulated and I went ‘right, I’m going to start Hell Wench’. That was about a year ago. My gut tells me what to do, the clay tells me what to do, you can’t tell the clay what to do. If you sit down at a wheel and you’re in a crappy mood, forget it. So that’s why I started hand building sometimes too, because you have a little more control over it, but still. The things that inspire me are life, my quirky sense of the unusual; I don’t like normal, I don’t want all my dishes to look the same. I like things that have a story, so all my pots have their own story, they create their own story. Music inspires me, life generally inspires me and just being true to myself. Nature inspires me, birds really intrigue me, that sort of thing. And my own warped imagination I guess (laughs). 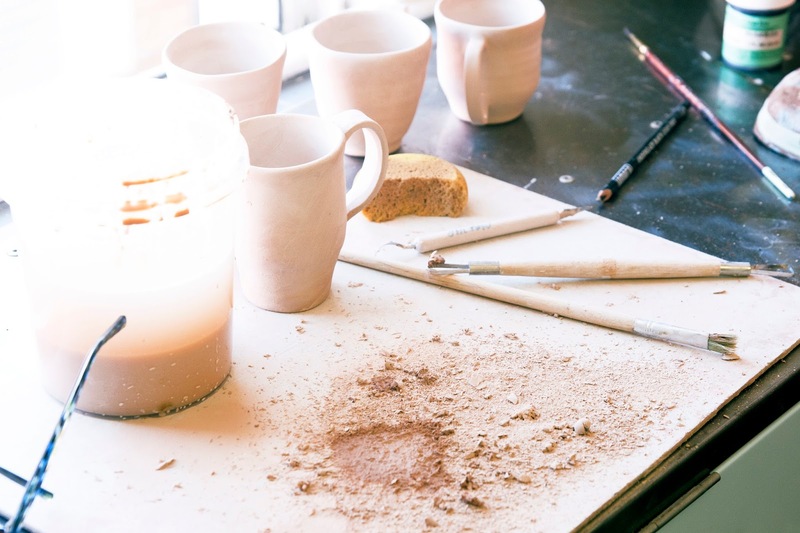 How would you describe the style of ceramics you make? I would say my style, if anything, is very wabi-sabi. So it’s perfection, imperfection, and each piece is uniquely different, and when people come to my table they all know now. They pick them up, they hold them, and one piece will speak to them more than another. Some people are drawn to the look of them, but then they hold them and they say ‘oh I only wanted one, but these three speak to me’ and I say ‘well you’ll have to have all three’. The shapes, they take on their own form and I let them. I don’t try and control it, I just let it be, because I know each piece will go where it’s meant to go. Tell us about the space where you do most of your work? Is there anything in this space which gives you inspiration or motivation? I love fresh air; I love a window, at a bare minimum I needed that. I don’t get claustrophobic, but I just can’t breathe if I don’t have a flow of some description. I like semblance of order. Up until recently I was in my backyard or on my big kitchen table and the inspiration was the tranquility of mother nature, the hustle and bustle of life outside, birds and being left alone with my imagination. The reason I love this new space is because I can be as messy as I want, I can leave stuff out, whereas before at home I’d have to tidy stuff away. So I like having my own space where I can throw crap on the floor if I want. I can leave stuff out, everything is here. I’m not an organised person but I do need to know where my stuff is. The only negative about having a studio away from your home is if you suddenly have the urge to create, you can’t just pick it up, though I do have a little supply at home. Basically I make and dry everything here, and then I fire it and glaze it at home. I think it means different things for different people. How would I define it? It’s a visual or a sound or an image that you’ve put down. Using your imagination or an idea to create something which is translated into a visual image (painting), physical (theatre) or sound (music) or sometimes a combination of all three. If you’re musically inclined, if you’re feeling a particular way, happy, sad, angry, it doesn’t matter, you play it out through a tune that represents that. So to me, creativity is something you feel inside, it’s an emotional, visual response. Creativity fills such a spectrum of things, but for me it’s having the ability to express yourself, whether it’s through music, art, dance or drama. But you know, someone preparing food can be creative, someone designing a home can be creative, so I think it’s just an emotional journey. I think we all have aspects of creativity within us. I think some of it gets squished out and especially as you’re becoming a teenager. What was a wonderful expression when you were two or three when you don’t really care what anyone else thinks, as a teenager you think ‘oh no I can’t draw’, or I can’t do this or I can’t do that. I think everyone does have an element, we just have different ways of expressing it. Some I think are born with a natural talent, and others struggle. But I think we all have aspects, and I think it’s interpretation and personal preference. It's not really something l have control over, it is always bubbling away. Ideally it's a beautiful day, I am listening to a little jazz (Miles Davis), and have all my supplies and can create. I can do this for hours; I lose all sense of time! If you had to start over, do you think you would have chosen a different career path or gone about Hell Wench differently? I have had a number of different career paths and would not really change too much. I think Hell Wench needed that time to develop and for me to have the attitude I have. I think I needed to age and mellow. My personal challenges, if you like, is myself. think for most creatives it is self-doubt/criticisim or at least for me I am my own worst enemy. I tend to be hypercritical of myself and my work. So it’s been really rewarding being so well received. I’m very independent, but here in Newcastle I’ve been getting so much support from fellow creatives and in particular my mentor, Kara Wood, even down to the point that she’s helped me be independent. My first market I did was her tent, her table and all my bits and pieces inside. 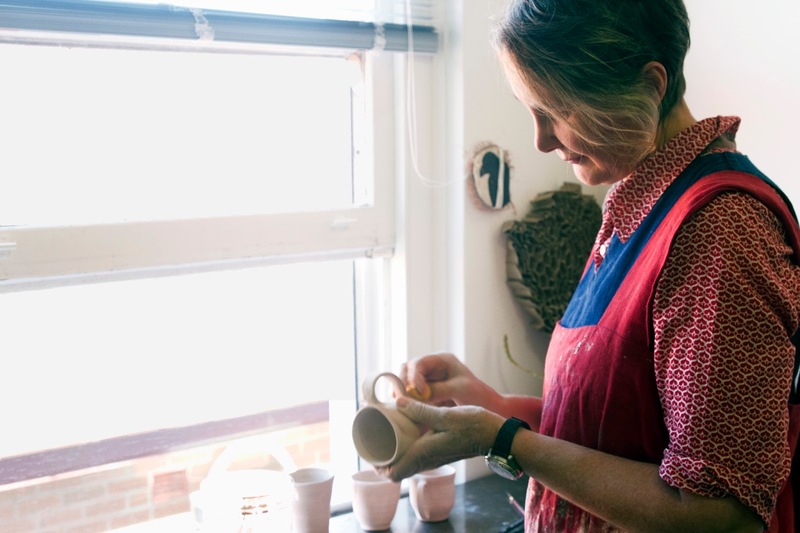 She also introduced me to the practicality of stoneware, the beauty of porcelain, helped me buy my first kiln and potter’s wheel. But without that support, it’s hard work going on your own, it’s expensive, so having that community support is great. At the moment I’m with a group called Creative Village Newcastle and being a part of that collective group is so lovely because there are about 26 different creative people in one space, and it’s a really nice feeling. And of course I wouldn’t be here without my family’s support, they just said go for it. It’s a lot of hard work, you have to trust yourself, and you just have to go for it. If it was easy everyone would do it. I’ve only been doing this for a short period of time. The first market I did, selling my first piece was an amazing feeling. But the big step for me was getting my own studio, it was huge. Just to have that space and the freedom to throw things around and make as much mess as you want. Getting my own creative space, well I’ve not ‘made it’ but I’ve gotten a step up the ladder. Also, getting my business name and creating that backend and protecting it, because as an artist you don’t tend to protect yourself. I’ve trademarked the name, so it’s become a business asset. 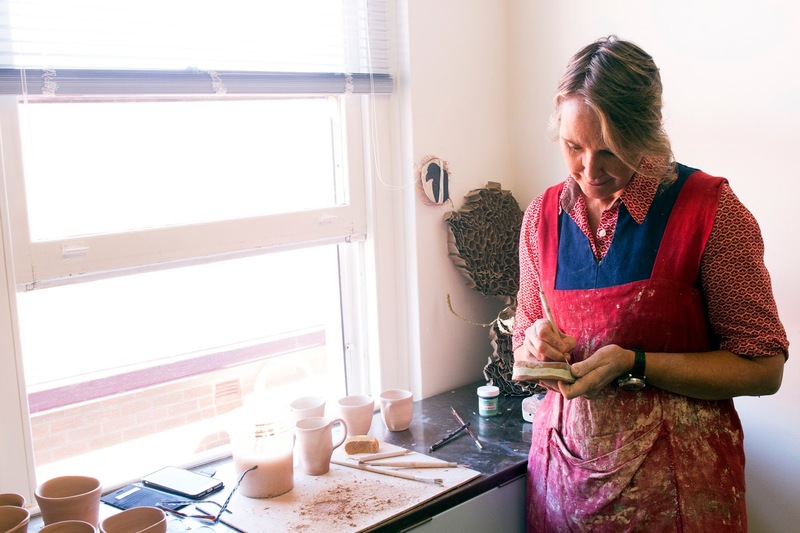 Buying your first kiln, buying your first potters wheel, those sorts of things are big steps. Social media is so big now, and on Instagram I posted a picture of my crows and a lady in Montreal has commissioned ten big cups, so that was an accomplishment. If you’d asked me eight months ago when I’d first started selling I'd have said, ‘no that won’t happen’, but it does. The gift boxes I’ve sent to England, Canada and across Australia. I’m not talking huge, I’ve very small, but it’s a big step in the first eight months of running a business. Any future plans for Hell Wench? I’d like to do more bespoke things and customer orders and work with corporations that need stuff done. But the bird range is where I’m going, so cups and artwork that can hang on the wall, and things like that is what I want to do. As well as the soaps and the salts and everything else in the background. 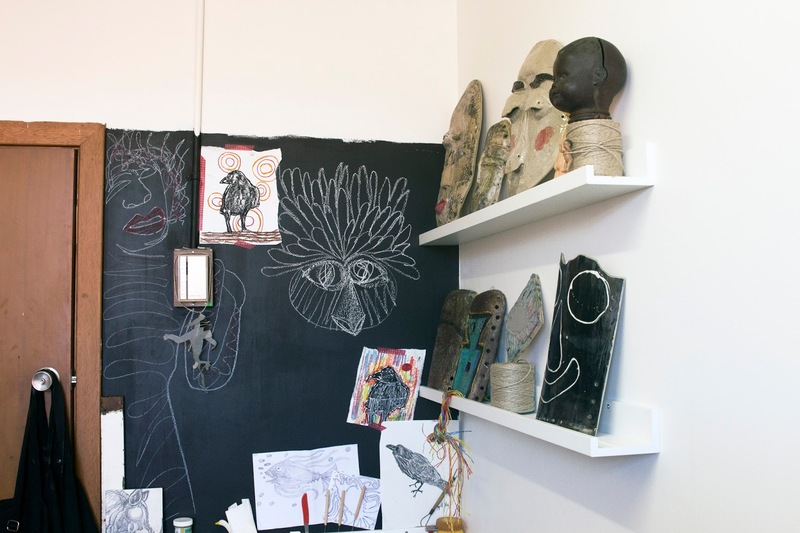 But on a creative, ceramic level, I’d like to be doing more artwork. Hell Wench is only beginning and l have a few plans in the pipeline but l would like to further develop my “gritty but pretty” range.